Going by the response of the Modi government so far, New Delhi is unlikely to let Pulwama incident go unpunished. Many important aspects of terror attacks are evidently visible in the ghastly attack on the CRPF convoy in Pulwama – the element of surprise, the magnitude of attack, the copious planning, the quantum of explosives used and above all the failure to analyse and act upon intelligence inputs made available sufficiently in advance. The Cabinet Committee on Security, chaired by Prime Minister Narendra Modi, has decided to withdraw the Most Favoured Nation (MFN) status given to Pakistan in 1996, ending all concessions and privileges that were part of the arrangement. The Ministry of External Affairs (MEA) is now set to launch more diplomatic steps towards complete isolation of Pakistan in the international community. The MEA will also engage with the international community for the adoption of the UN resolution initiated by India in 1986. The resolution is pending passage for want of consensus on the definition of the term terrorism. So much for the international resolve to put up a united fight against terrorism. But the ghastly terror attack on the CRPF convoy in Pulwama Thursday will hopefully bring the entire country and the world community closer to a consensus on defining terrorism and to renew the war on terrorism. National security adviser Ajit Doval has also met his team and taken stock of the situation. Modi has assured a strong and fitting response to the gruesome terror attack. The Army has been given a free hand to take appropriate action. The government will be holding an all-party meet Saturday to discuss the terror attack and the likely response. Besides widespread condemnation and a sense of deep grief, the prevailing mood in the country is that of fury and indignation against Pakistan, which has not only provided a fertile ground for terror incubation but has been also accused of extending every possible logistic support to terror apparatus in Jammu and Kashmir and elsewhere. Jaish-e-Mohammed (JeM), which is known for its brutal attacks, is reportedly running a number of terrorist camps along the border, recruiting mercenaries and getting them trained in perpetrating terror attacks. According to home minister Rajnath Singh, the incident in Pulwama is the result of one such terror module, which is aided and abated by the ISI of Pakistan. There is no doubt that there is now a general consensus on the need to impose a very heavy cost on the perpetrators of the terror attack on the CRPF convoy, resulting in at least 37 deaths and leaving several injured. Going by the response of the Modi government so far and the string of actions taken, it appears that New Delhi is not likely to let this incident go unpunished. Needless to say, a more nuanced and calibrated response mechanism needs to be put in place. Knee-jerk retributive measures will not provide total and final solution to the menace of terrorism. Army war history is replete with instances of immediate vengeance for attacks on troops. As a responsible democracy, India will surely use diplomatic options to name and shame the terrorist outfits and isolate Pakistan. The economic condition of Pakistan is precarious, to say the least. The International Monetary Fund (IMF) has warned that Pakistan could slip into a spiral of increasing external debt and huge current account deficit ($18 billion by end of June 2018), placing the economy at a point of no return. It is no secret that Pakistan is heavily dependent on China’s economic support through investments in CPEC projects. Unlike IMF and other international lending agencies, China’s agenda is to use Pakistan as its satellite state, through economic dependence, to spread its authority and geo-political influence in its quest for super-power status. New Delhi should impress upon the IMF and the US, which has been giving Pakistan aid for a while, to force Islamabad to reveal the terms and conditions of CPEC and other economic engagements with China. Also, India should put on hold all negotiations on Regional Comprehensive Economic Partnership (RCEP), which Beijing is eager to ink in the wake of US-China trade stalemate. China continues to support Pakistan’s stand on JeM and has refused to facilitate a worldwide ban on this dreaded terrorist outfit operating out of Pakistan. Faced with the threats of a failed economy and increased radicalisation, the political establishment of Pakistan may get overthrown by a coup, placing Islamabad under direct army rule. This will greatly increase the Pakistan army’s dependence on China and seriously jeopardise US plans to quit Afghanistan. 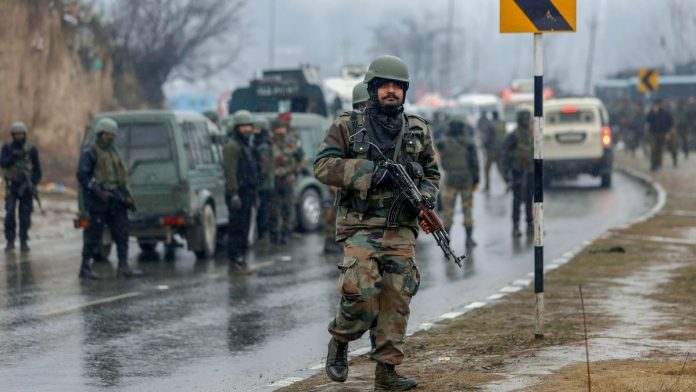 With Lok Sabha elections just a few weeks away, there is an urgent need to assuage public anger, strategise a calibrated response to the Pulwama terror attack and build political consensus on how to fight India’s own war on terrorism.